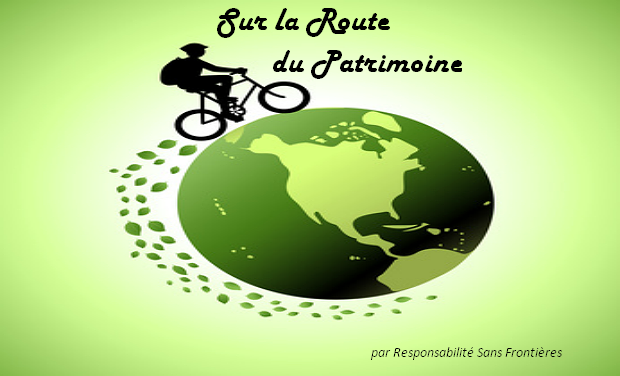 "On the Heritage Route" (Sur la Route du Patrimoine) is an expert mission, roaming by bicycle, across the American continent, from north to south, meeting local initiatives for the protection and enhancement of the World heritage, natural and cultural. This project is both charitable, voluntary and responsible. For over a year, we will promote and support on the one hand, the social responsibility as a means for sustainable practices, on the other hand, efforts to preserve the local heritage, including sustainable tourism projects. Beyond the awareness of the general public and companies, we will on-going interact with the primary school students through various media: website, blog, social networks, news, radio, conferences. The association Responsaibilité Sans Frontières founded in 2012 aims to contribute to the preservation of cultural diversity and biodiversity through the promotion and development of sustainable initiatives. 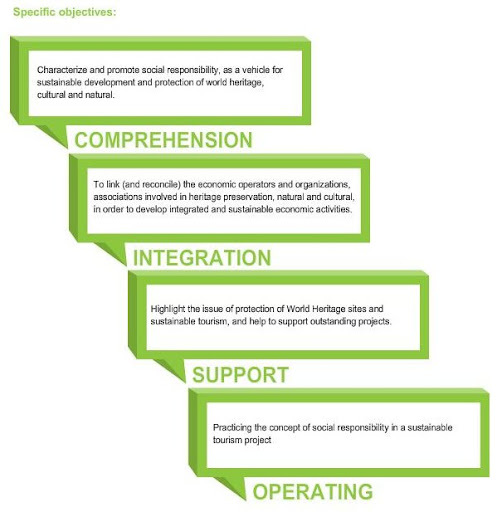 The objective of the project "On the Heritage Route" (Sur la Route du Patrimoine) is to contribute to the protection of the World cultural and natural heritage and to the development of responsible activities by promoting local initiatives. 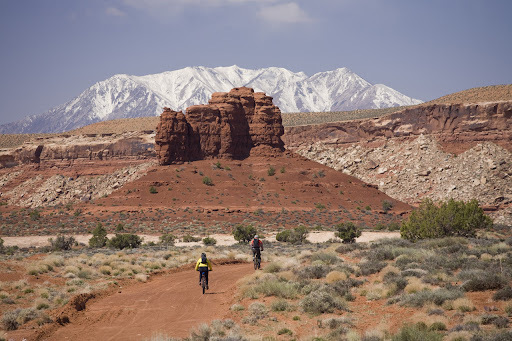 This first action of the Association, the expedition starts in October, roams about 20,000 km by bike for over a year through the American continent from Canada to Argentina and approximately 18 countries. 1. Comprehension: Define and understand the diversity of the concept of Social Responsibility (SR), a proved vector for critical awareness and more sustainable behaviors. Indeed, this concept is grasped in different ways in different countries, depending on their own priorities tailored to their history, roots and issues. Meetings and interviews with representative organizations and companies engaged in the SR will get a better understanding of priorities and challenges of each in terms of sustainable development. The return of SR implementing experiences in North America will be complemented by the emerging markets of Latin America gradually becoming a new SR standard exporters. 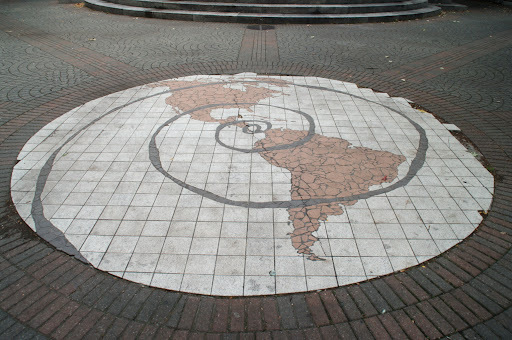 This is why the mission will start in North America to examine the secrets of their capacity to implement SR and then to Central and Latin America to analyze the characteristics of this concept in the emerging economies. - Analysis and typology of SR and challenges per country/region. 2. Integration: Establish a platform for projects and best practices, providing increased visibility and permitting the relationship between concrete sustainable project leaders (NGOs, cooperatives, etc) and investors (companies, foundations, individuals, etc). Indeed, companies wishing to develop their SR policy or philanthropic sponsorship towards sustainable projects often lack information or relevant contacts. Through the creation of such platform, we will help to better select consistent projects in adequation with their strategy and action (e.g. link a roasting company in Europe with a Brazilian cooperative of coffee which opts for sustainable practices of soil management and agroforestry). - Establishment of a project database. 3. Support: Among the local sustainable projects visited, identify and highlight actions to protect the natural and cultural heritage and supporting the stakeholders involved in outstanding projects of conservation and protection. Up to 10% of external funding received by the "On the Heritage Route" project will be distributed to one or more selected initiatives through the website (online voting area open to members and supporters of the association). - Evaluation of the needs of local communities to improve their living conditions. - Donation of 10% of external funding to one or more selected initiatives. 4. Operating: Promote and develop new forms of tourism - sustainable tourism. 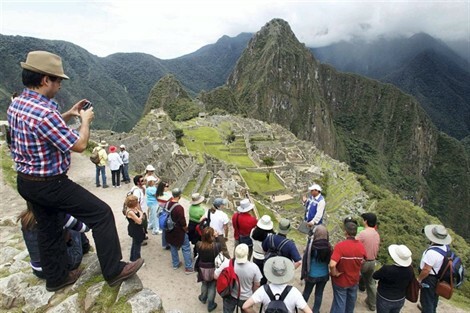 Often, mass tourism is a major factor of degradation of natural and cultural heritage (UNESCO). The first dimension of our contribution is based in the promotion of sustainable tourism projects that will meet and share best practices through various media (videos, photos, case studies, lectures, platform). The other dimension is the nature of the expedition by moving slowly by bike, the project aims to show (or demonstrate) the possibility of "traveling" in a sober way, having a minimal impact on environment and culture of the host communities. The bike is a great way to reconcile social relations, respect of the environment and self-transcendence... A task that our virtual followers must think about! - Assessment of carbon footprint and impacts caused by the project (helped by the WWF). Promotion / Communication: Beyond awareness among the general public and companies about the stakes of social and environmental development, sensitization to several primary schools students is expected, including through the interaction of our future blog and educational materials illustrating the world diversity. Many deliverables and results will be promoted through various media (internet, print, radio, conferences whose contacts exist or will be developed ongoing) and via established networks. Currently, the project is in preparation and the start of the expedition is planned for early October 2012. Few collective efforts for mutual success! The Mission "On the Heritage Route" is carried out thanks to volunteer work and support of both of the project leaders (around 40% of the budget) and external support. We are looking for other sources of funding to implement this innovative project and acquire equipment essential to the success of the project (transportation tickets, camera, bicycles...) in addition to the material that we already have. - Purchase of 2 travel bikes sufficiently robust and suitable for wild trip with associated baggage: they will be our daily working tool! : € 2800. - Participation in Operation "Ride with us": with the equivalent of € 500, you will fund the equivalent of 1000 km (e.g. for repairs, food, contingencies). - Contribution to the purchase of promotional materials and management fees: 1 camera and 1 board camera for making reports and photo galleries of local initiatives visited during the expedition, in the countries visited: equivalent of € 1,130. - Redistribution of 10% of your donations (i.e. about € 410) for local remarkable projects through a transparent interface survey, we will present sustainable projects benefiting the local natural and cultural heritage. 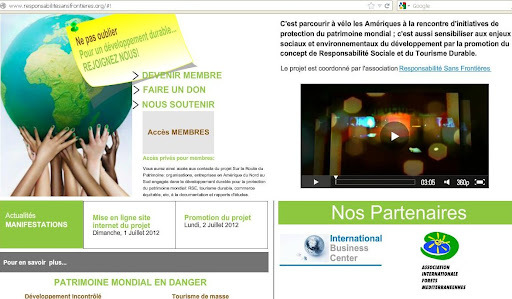 One or few selected projects will be supported through a grant from the Association "Responsabilité Sans Frontières". NB: If donations reached the expected amount, do not hesitate to give more than this amount directly to the project site. These additional donations will be allocated to other expenditure items relating to that project (paperwork, vaccines, computer, camping equipment ...). The total previsional budget of the project is freely available here. 1 post to thank you from our Facebook page. 1 postcard from the place of your choice (see. itinéraire) written by a local person and that will establish a first contact with you + Previous Rewards. Enhance inter-cultural exchanges ! 1 invitation to photo exhibitions or conference when back home + Previous rewards.